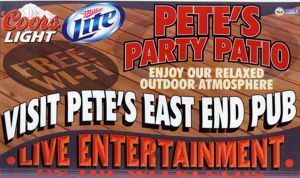 Monday -Thursday 3:00 p.m. to 12:00 a.m.
Friday 3:00 p.m. to 2:00 a.m.
Saturday 12:00 p.m. to 2:00 a.m.
Sunday 12:00 p.m. to 12:00 a.m. 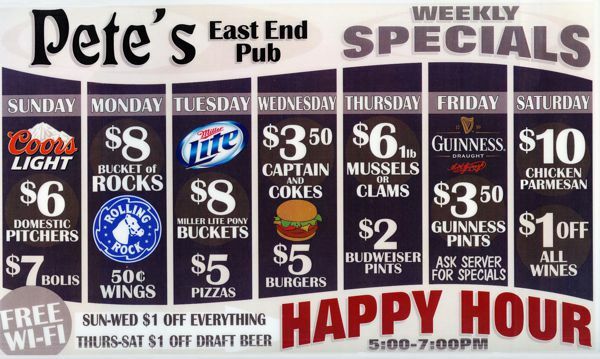 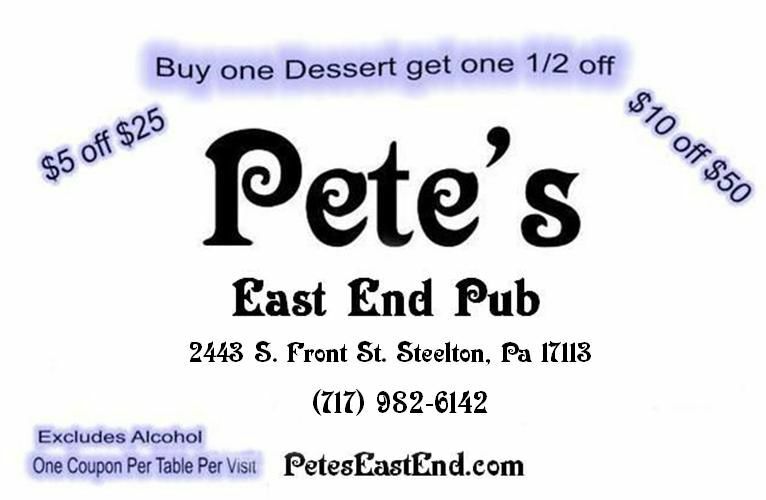 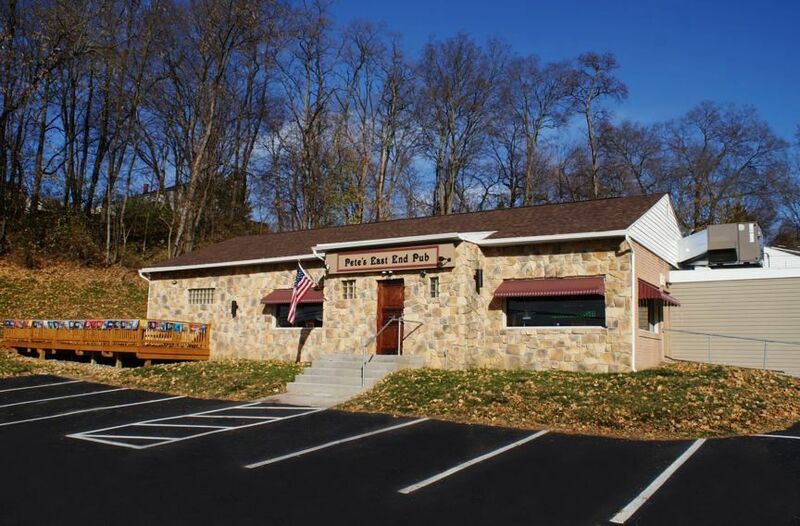 Happy Hour 5:00 p.m.- 7:00 p.m.
Pete's East End Pub is the collaborative effort of two friends, Kevin Biggi and Matt Wall, who formed a business in 1998 buying and renovating housing on Harrisburg's East and West Shores. 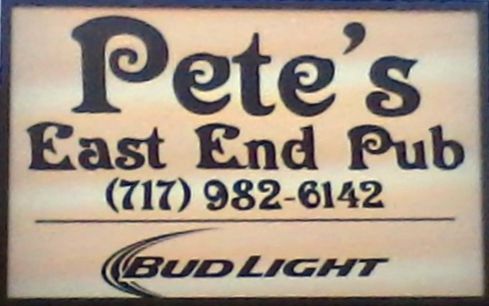 In 2012 they opened Pete's Olde Towne Bar & Grill in New Cumberland . 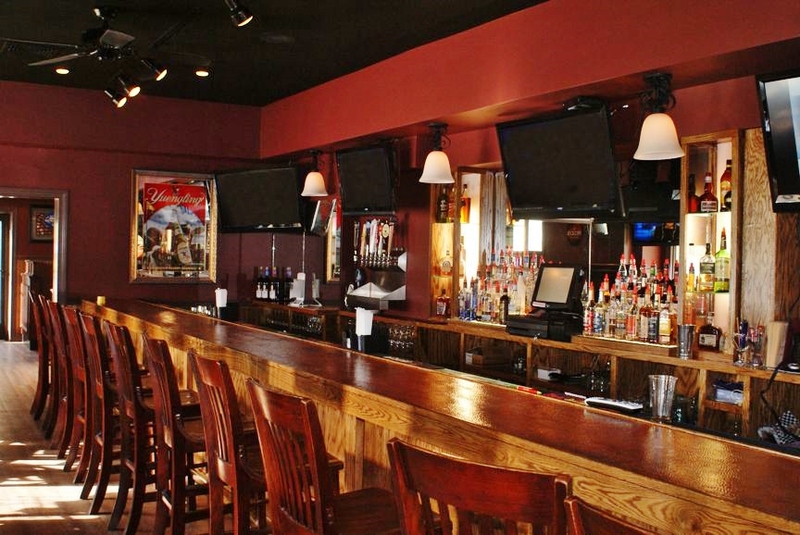 Kevin and Matt saw the same potential in TJ's, which had been closed for over two years. 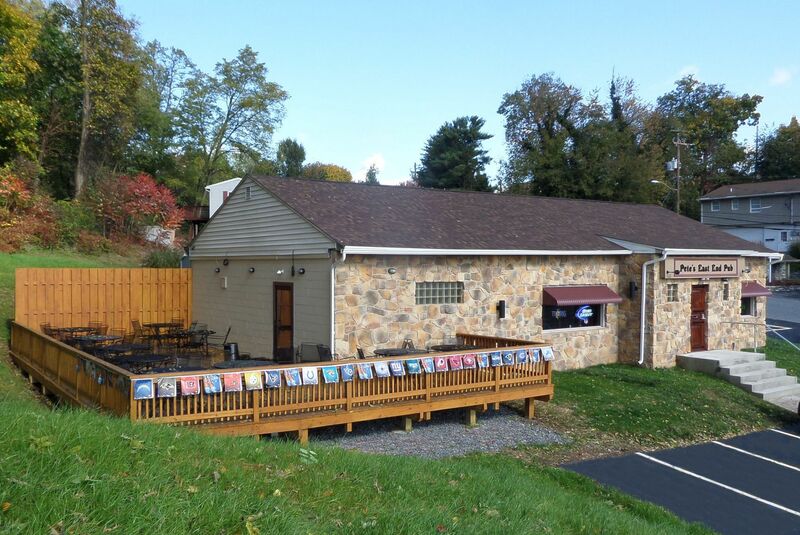 With a little TLC and a lot of knowhow, they refurbished and restored this Steelton icon.